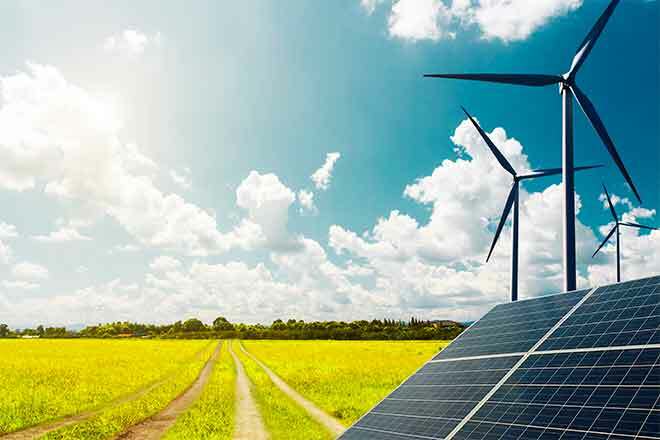 Colorado State University's Rural Energy Center is offering free economic feasibility assessments for Colorado farms interested in learning their cost-benefit for use of solar energy. The Center has already conducted feasibility assessments for 30 irrigated farms and 10 feedlots and has just expanded the program to greenhouses and dairies as well. The Farm Assessments for Solar Energy (FASE) program provides estimates of initial costs, ongoing costs, tax implications, energy savings, and incentives as well as a detailed cash flow analysis that producers can use to make a decision about whether or not to pursue solar. Results from recent assessments are promising, as the average on-farm solar array would have a 7% return on investment and only three years of negative cashflow on a cumulative basis. Solar arrays could be installed on buildings, open space, or even as shade structures. The solar arrays being evaluated would tie into the grid and be used to offset the electricity costs of pumping water, lighting, ventilation, and other agricultural uses. Grants are available through USDA and the Colorado Department of Agriculture to maximize ROI. Program partners include Rocky Mountain Farmers Union, the Colorado Livestock Association, the Colorado Energy Office, and Morgan County Rural Electric Association. Farms participating in the FASE program must receive 51% or more of their gross receipts from agriculture. Visit http://ruralenergy.colostate.edu/fase to submit the short application. Cary Weiner, CSU Rural Energy Center Director, can be contacted with questions at cary.weiner@colostate.edu or (970) 491-3784.